Spending more than two hours watching the goings on in Bois de Vincennes of Paris? Wouldn’t that be a bit much? The time passed relatively quickly, actually. The film opens with shots of a park that’s so expansive it looks like part of the countryside. Once upon a time it was, but then Paris grew around it. Other scenes will show that there are apartment buildings close to the edge of the park and that sometimes you can hear the rumble of traffic even if you can’t see it. There are many reasons to visit the park: to exercise, to relax, to commune with nature, to work, officially or unofficially. Some people set up tents and live in the park in the warmer months. Director Claire Simon shows us people who do those things; sometimes she talks with them, other times she observes from a distance. I was curious about the man who filled dozens of plastic water bottles from a fountain while thirsty joggers waited for their turn to drink. What was he going to do with them? Sell them to unsuspecting people? Who knows? 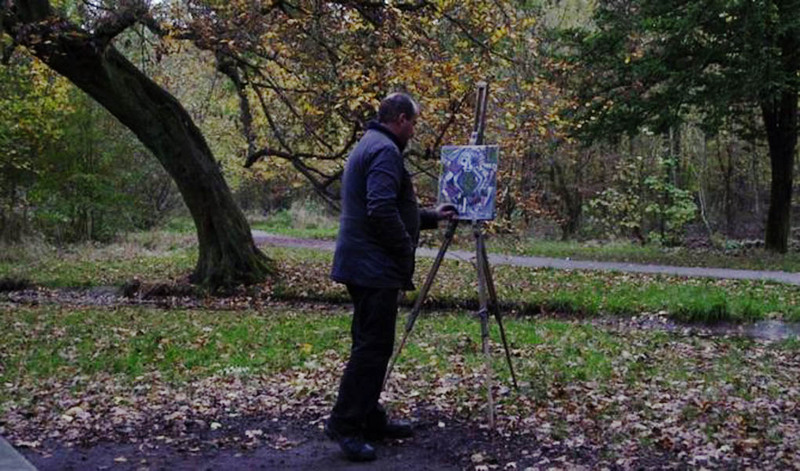 A man paints in nature, though not from nature, in a scene from the French documentary film The Woods Dreams Are Made Of (Le Bois Dont Les Rves Sont Faits). Some guys who catch a large carp spend a long time examining it; distraught spectators tell them they’re being cruel and urge them to put it back in the water. A man paints outdoors, though he does not paint what he sees. A gay man explains cruising etiquette and laments the advent of smartphone apps; he doesn’t meet as many men in the woods as he used to do. Workers who clean up the fallen leaves of autumn use horse-drawn wagons to reach places to narrow for trucks. Other employees look more bureaucratic, taking notes on their clipboards, discussing the possibility of redirecting some of the decorative waterways. Yet others, wearing hazmat suits, clear away abandoned tents and other possessions. 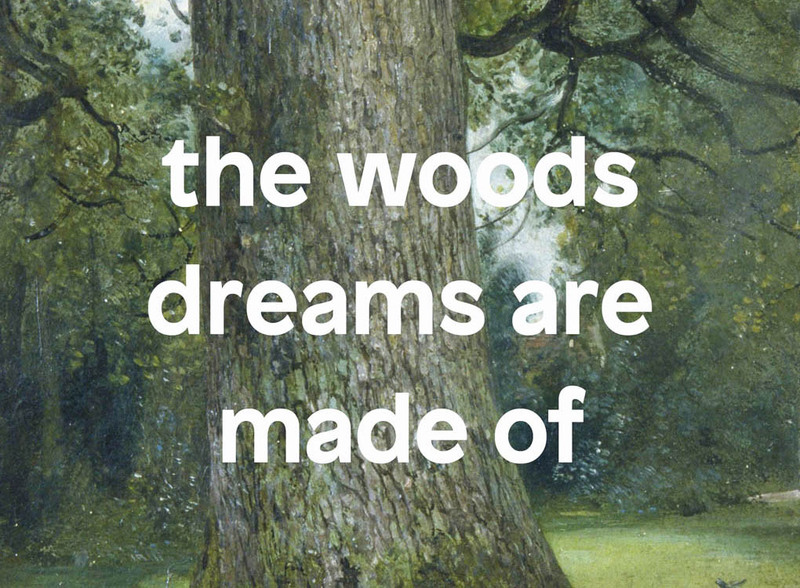 In the late 1960s, philosopher Gilles Deleuze was one the professors at an experimental university in the woods; as if in a dream, his daughter shows where the classes took place. It feels like being inside a ghost story. Claire Simon spent one year shooting the film; if that year was typical, Paris does not get much snow at all – it barely made an appearance. Sunday, Nov. 15, 2015, 2:30 p.m., Salle Claude-Jutra, Cinémathèque Québécoise, 335 de Maisonneuve Blvd E.
RIDM (Rencontres internationales du documentaire de Montréal) runs from Nov. 12-22, 2015. Visit the web site ridm.qc.ca for more information.